Every company in the world should have some form of new hire orientation. The reality is that most don’t provide the start that new employees need. Recently, I was fortunate enough to work alongside Miranda Greenberg and Marci Morford on one of the most creative and fun projects I’ve ever worked on in my career. I wrote about this in a two-part case study: An New Employee Orientation Overhaul and The Exciting Conclusion: What Happens When A New Hire Orientation Becomes a Game. Imagine you’re standing in the rope line, waiting for a while but still excited about the prospects of getting in to a club so exclusive that few of your friends and classmates have ever been able to get in. Then the moment arrives. The bouncer points his finger at you. “Come with me,” he says, plucking you out of the line, escorting you past a bunch of other people and into the club. The music is thumping. A few heads turn to look at you. One or two even say “hello”. Most ignore you. Should you go to the bar and order a drink? Hit the dance floor? Find a table? Decisions, decisions. At the bar you try your smoothest move to get the bar tender’s attention, but he ignores you. The patrons around you laugh. “You’re not doing it right,” says another club goer, then walks away. Maybe the dance floor will be a better place to start. You quickly realize that the type of dancing – while it seems to be working for the folks on the dance floor – is like no dance you’ve ever seen. You give it a whirl, but your moves turn out more like Elaine’s spazz dance from Seinfeld. Being out of sync with everyone else means you’re stepping on toes and knocking people’s drinks out of their hands all night. It’s not fun. But you come back the next night. And every night for months. Eventually you start to get the hang of it, though it would have been nice if someone had taught you the secret to ordering drinks on that first night. 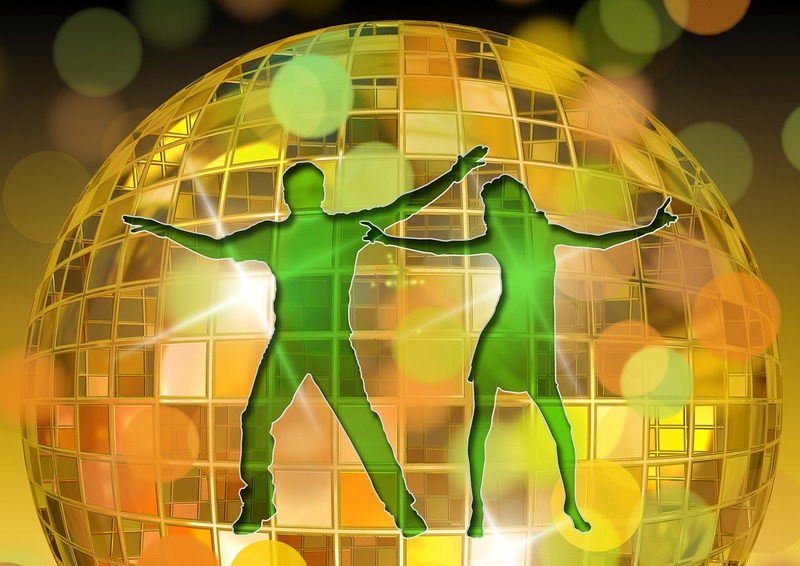 It would have been much less embarrassing and much more fun for everyone if someone had practiced a few of this club’s proprietary dance steps with you from the beginning. This scenario plays out every day in companies across the country and around the world. Your organization is a bit like an exclusive club. You carefully craft your recruitment and hiring process. You spend countless hours interviewing and meeting to decide which candidate to pull out of the “rope line” and invite into your club. How do we effectively orient new employees to the organization during the first days and weeks? How do we effectively integrate new employees into their roles and the organization’s culture over their first weeks and months? It provides space for you to reflect on key points and to identify where your orientation and onboarding processes may have holes. 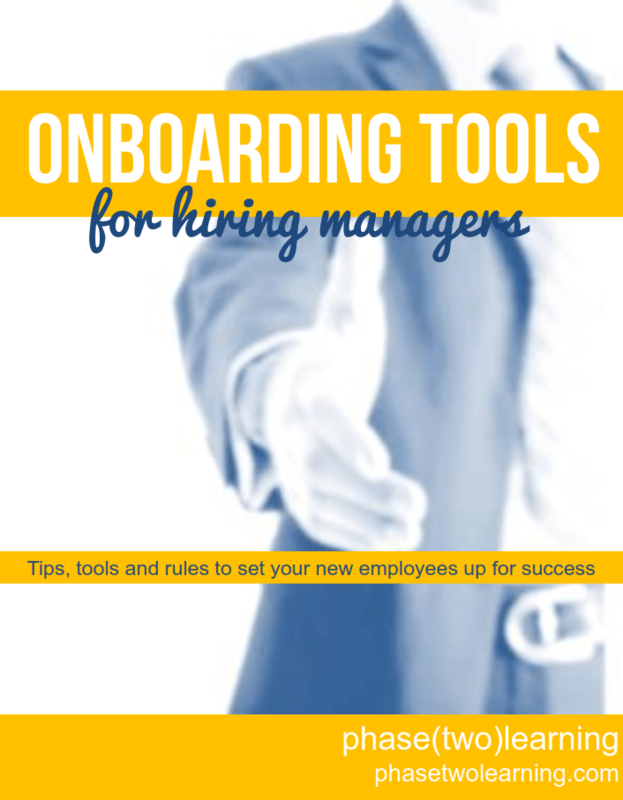 Onboarding Tools for Hiring Managers: Tips, Tools & Rules to Set Your New Employees Up for Success is part book, part workbook and (for the time being) completely free. So there’s nothing to lose. If you want to squeeze every last bit of value out of your employees, then you need to begin on Day 1 with high quality, engaging and meaningful orientation and onboarding processes. Have you found an orientation or onboarding strategy that’s particularly meaningful? I’d love to hear about it in the comments section below. Know someone responsible for orientation or onboarding? Pass this link along! Before you read further, you should consider checking out the two part case study about revitalizing new hire orientations: An New Employee Orientation Overhaul and The Exciting Conclusion: What Happens When A New Hire Orientation Becomes a Game. You’re busy. Deadlines are coming up. Your Outlook calendar is packed. Reports are due. And yet one more thing is coming up next week: you have a new employee starting. Even though you’ve walked the halls of your office for years, and even though you’ve seen plenty of employees come and go during your tenure, it’ll be the first time your new employee will have experienced your office. When that new employee begins next week, his life will have changed. He stopped doing something else – whether he left a job or he just graduated college – in order to begin working for you. He prepared for a series of interviews. He stayed up nights wondering if he was going to get the offer. He’s talked with his wife and children about the excitement he’s feeling for a new beginning. His excitement for the new challenge and new co-workers and new health plan and new boss will keep him up late the night before he begins. His orientation may seem like a hassle to you, but it’s a big deal for him. While the onboarding of a new employee is a process that can span weeks and months, the new hire orientation featuring an introduction to the organization and some HR stuff and forms and policies and procedures should be an experience worthy of all the excitement and anticipation and life-changing expectations that your new hire is expecting. Click here to download a sample new hire orientation note-taking packet. The intent behind this sample document is to give your new hire a clue as to what he (or she) should be paying attention to during his meetings with people across the organization. What are you doing to make sure the life-changing first day of a new hire with your organization is a welcoming and productive experience? Do you remember the night before starting a new job? What was going through your mind? Do any of these comments (ripped straight from actual Tweets) resonate with you? Then do you remember how you felt sitting through new hire orientation, listening to someone talk (or perhaps watching videos or even completing a series of elearning segments) about all the mandatory HR requirements (employee handbook, sexual harassment, OSHA, etc.)? Do any of these comments (again, from actual Tweets) resonate with you? What kind of content should go into new hire orientation? That will depend on your organization’s goals and objectives when it comes to new hire orientation. If you’re looking for suggestions, the MindTickle blog has phenomenal new hire orientation tips and strategies. Two months from now, will the new hire remember most of what was presented (and know where to go to find other information they may have forgotten)? Did the person designing the orientation respect the new hires enough to ensure they will be engaged throughout every topic that will be covered (ie: they will not be sitting as people or videos or computers bestow tons of forgettable information upon them)? When your new hires begin tweeting something two hours into their first day, what do you think their 140 characters will say about your orientation program? 1) Accountability: Knowing about this assignment ensured our new hire would be paying attention and taking detailed notes during his orientation sessions. 2) Quality Control: Listening to the presentation, my colleague was able to identify onboarding components that were either missing or were not strong enough to make an impression on this new hire. In a world in which the time-to-competence of new hires can provide a very important competitive advantage, what are you doing to ensure your new hire orientation and onboarding process is meaningful and targeted to include only the information most relevant for the new employee?